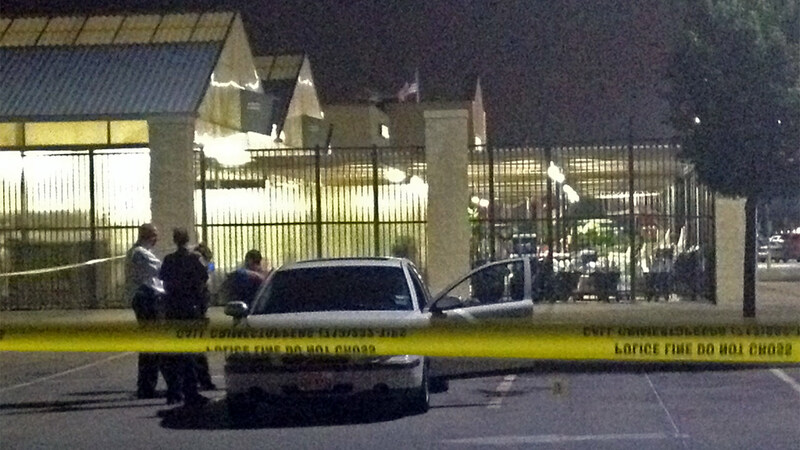 HOUSTON (KTRK) -- One man is dead and another injured after an argument in a southwest Houston Walmart parking lot ended in gunfire. It happened around 4:45pm yesterday afternoon at the Walmart located on South Kirkwood at Westheimer. Police say two men and a woman were all in a white Volvo together when they parked near the Garden Center section of the Walmart. The three people in the vehicle then began to argue. At some point, shots were fired. One of the men ended up dead, and the second man was taken to the hospital in unknown condition. The woman was not hurt. Police did find a gun in the vehicle, but they are not yet sure if it was the weapon used. They are also not sure who opened fire. Officers are still interviewing witnesses who ran inside to get help and are also taking a close look at surveillance video.